The amazing web site of Shakespeare's Sonnets. The Midnight Conversation, by Hogarth, 1697 - 1764. The amazing web site of Shakespeare's Sonnets. The Midnight Conversation, by Hogarth. William Hogarth 1697 - 1764. We lash the Vices but the Persons spare. Who sharply smile prevailing Folly dead. So Nature dictated what Art has taught. 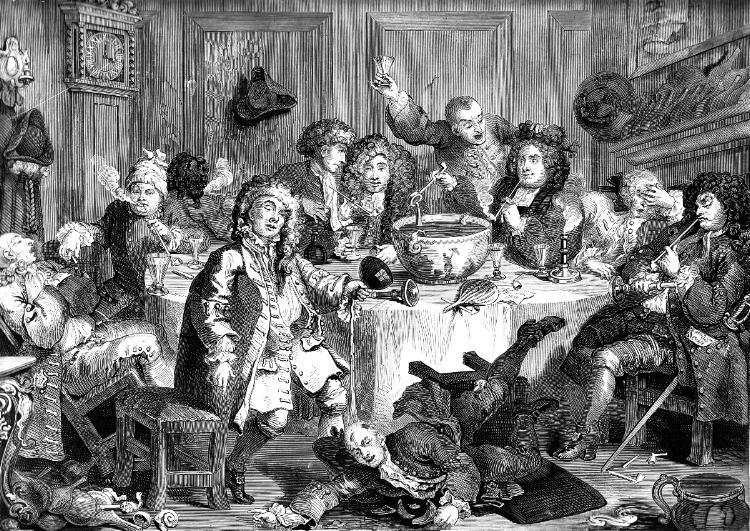 Source: Hogarth's Works published by J. Dicks, 313 The Strand, London. Circa 1880.